Meeting on the third Sunday evening of each month in the Westerville Town Hall, Grace Lutheran Church found its beginnings with the first sermon preached on January 17, 1904. Soon, with increased attendance, regular worship was conducted on two of every three Sundays with a Sunday school organized in May 1906. Grace began as a mission congregation by the Pastor of St. Paul Lutheran Church, Westerville, (organized in 1852) Pastor C. W. Pflueger, who subsequently became the first pastor of Grace Congregation serving both parishes from 1909 to 1916. During the spring of 1909, members of the newly formed church requested permission of St. Paul’s congregation that it form as a separate “sister” congregation to serve the growing Lutheran community of Westerville. On May 2, 1909, the new congregation formally organized as the Evangelical Lutheran Grace Congregation of Westerville. The first officers of the congregation selected were Ed Tedrow, elder, Peter Trapp, trustee, Milton Schott, deacon and treasurer and George Schick, Sr., secretary. A constitution was adopted June 6, 1909. This area, first known as Blendon Township, was settled in 1806 with many families coming from Connecticut, New York, Pennsylvania, and Virginia. With significant German ancestry and some with a Lutheran heritage the area was primarily family farms. The congregation prospered and on April 17, 1910, the congregation voted to build a chapel on East Home Street, on a lot which had been purchased the previous August for $457.50. The chapel was to have an “..altar, pulpit, folding chairs and fixtures..” at a cost not to exceed $2000. A committee of Pastor Pflueger, S. W. Henry, Peter Trapp and Milton Schott were to direct the building effort. The cornerstone of the chapel was placed on July 17, 1910. October 16, 1910, with fifty baptized members of which 40 were communicant, the members assembled at the Town Hall for their final meeting and walked to their new church on East Home Street. Services that day were led by Pastor C. W. Pflueger, his brother Pastor L. Pflueger and later in the day by Dr. L. H. Schuh, President of Capital University. A large attendance prohibited all from being inside the church. Early in 1936 the membership of Grace elected to support a remodeling program for the current church as well as provide improved and enlarged space. A building fund had been started in 1921 in anticipation of a later need for the growing congregation. A cornerstone for the remodeled building was placed on July 19, 1936, with Grace now a separate congregation from St. Paul. A new bell tower and completely redecorated interior were included in the project. Dedication was October 18, 1936. During the pastorate of Alvin Drewes, 1951-1962, there was significant growth in the Westerville area and in the congregation. 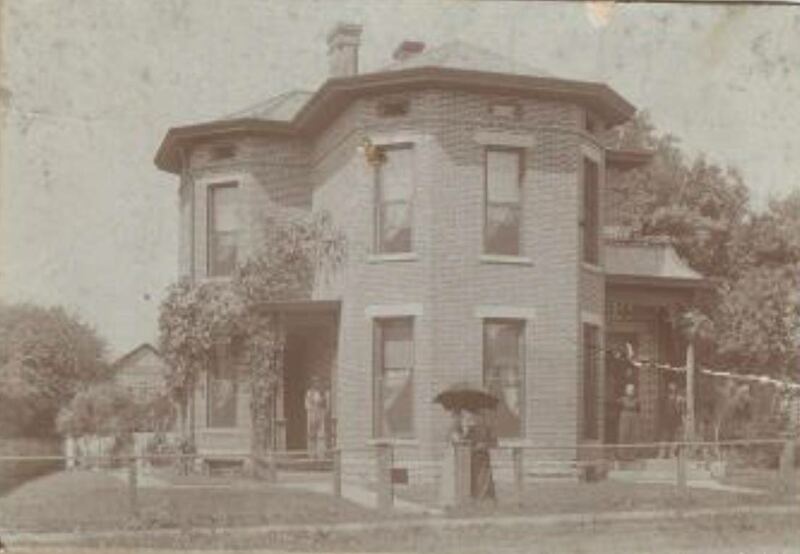 The parsonage and church on Home Street became inadequate to properly serve the congregation and in 1958 it was determined to find a future location for a new church building. The church council approved payment of $7,500 for four acres of property at the corner of College and Spring Road. That location, however, was not to be the site for a new church building. With community growth considered and anticipating town development, it was decided to acquire property at the corner of Otterbein Ave. and Schrock Road, then the southern edge of Westerville, the present location of the congregation. Schrock Road then ended at Otterbein Avenue. year later. On October 10, 1965 the new church was dedicated. The congregation continued to grow and prosper and at the 75th anniversary in 1984 had 1,100 baptized members with more than 800 confirmed members. New and expanded facilities were again added in 1993 with new Sunday school classrooms, office space, enhanced and enlarged entrance, expanded parking and modernized fellowship hall. But program requirements exceeded space and anticipated growth and mission suggested a need for further development. reception space which was completed for services as scheduled in November 2008. With seating for 350 the nave is designed to host musical performances which enable the congregation to support programs of broader interest to members of the Westerville community. Ground was broken for this expansion on Easter Day 2008 to help meet needs which exceeded thriving ministries. On the 100th anniversary of the Congregation our mission to “Reach out with the love of Jesus to grow disciples and serve our community” calls the members of Grace.